So fall is here. Been here. I’m just a little behind. And the truth is, I don’t have a lot of fall decorations. I feel like Halloween was just here and then it’s Christmas. Maybe the fact that all the retail stores have Christmas stuff out in October make me feel like I don’t have time to do fall. It’s too bad because I love fall. Anyway, I thought I would attempt to make a table runner. I don’t have any table runners at all in my house. Gasp. I’ve been thinking of making one and had one designed in my head. And this was how it turned out. I love it. I love the ruffles and the thickness of it. The steps are simple, but it takes a long time to make it, as in several hours, because it is so long. And some steps are tedious, like a lot of straight sewing. 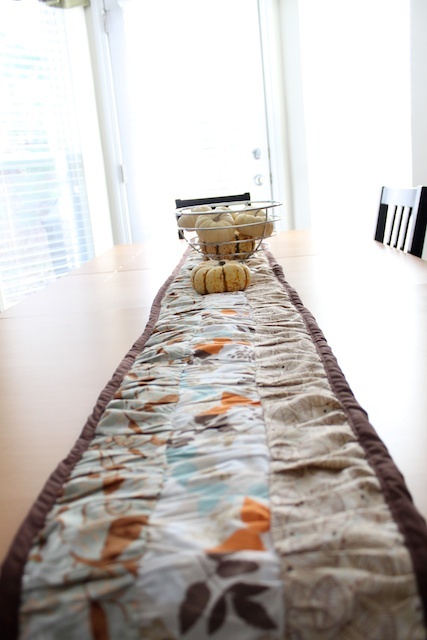 This tutorial is for a table runner that is 11 x 83 inches long. I had it just barely long enough to hang about 3 inches of each end of the table. If you would like to have it custom to your table, measure your table length and adjust the length of the measurements to fit. 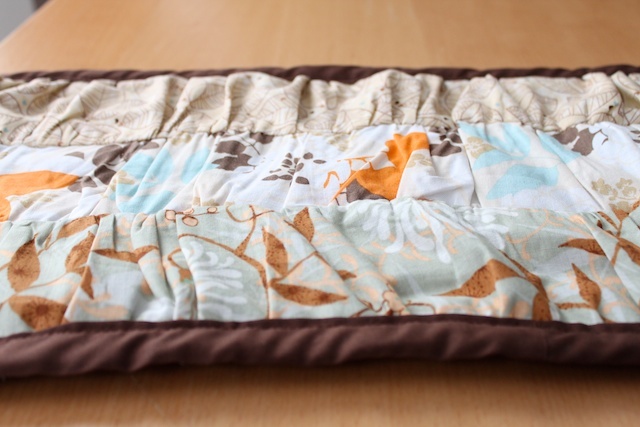 What I love about this table runner is that it hides all your imperfects in your sewing. At least it did with mine. If you make something inspired by Simply Modern Mom, please upload pictures of it to our Flickr group to show it off to everyone. You may be featured on Simply Modern Mom. And if you have questions along the way, feel free to comment or email me. 1. Cut your fabric. 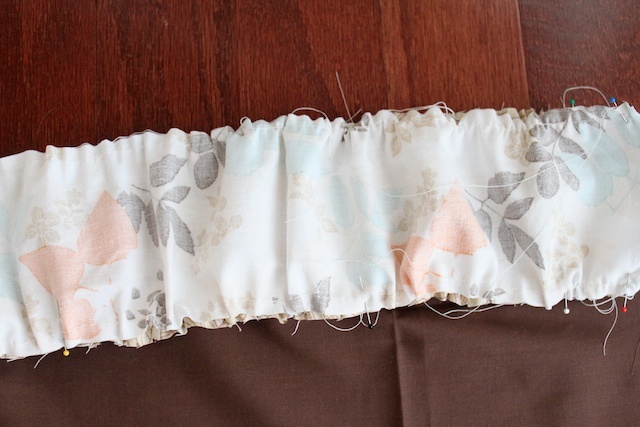 Cut 3 ruffle strips that are 45 x 4 inches, 45 inches being the width of the fabric from the bolt. 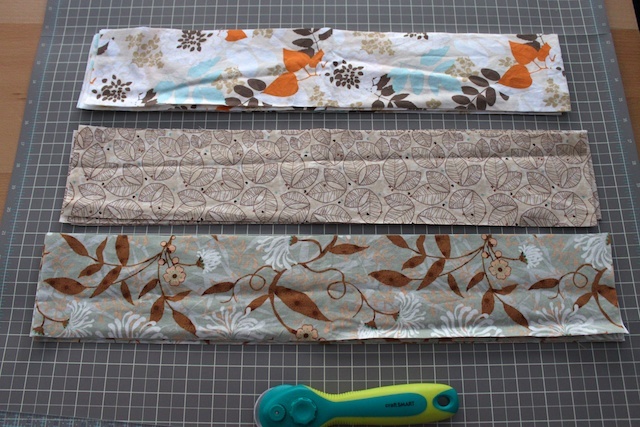 And since it’s not long enough for the length of the table runner, you will have to cut 3 of each fabric design. 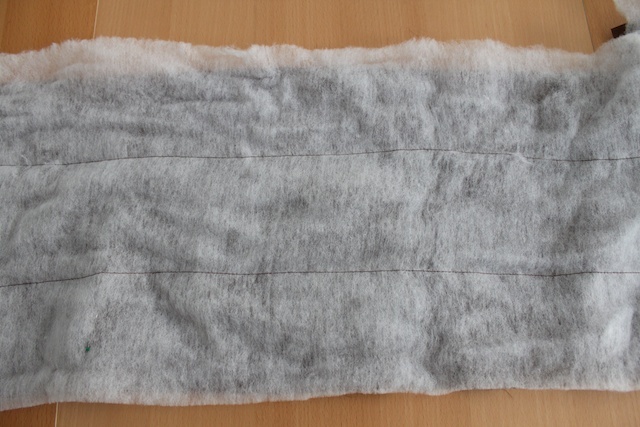 For the muslin, you will cut 2 pieces of 10 x 45 inch (muslin for the backing). Then use remainder to cut 4 strips of 2 x 45 inch for the bias tape that goes all the way around the table runner. Lastly, cut your batting slightly larger than the size of the table runner. I cut the batting 12 x 84 inches to give me room to place it straight and flat on the backing. 2. Make your bias tape. 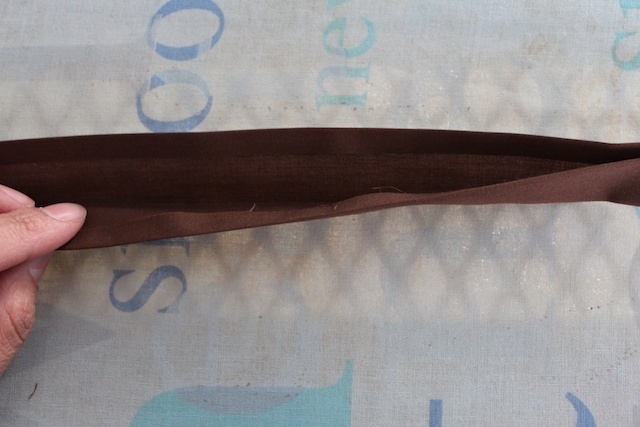 I made one long continuous tape by connecting the 4 (2 x 45 inch) strips of bias tape, sewed the ends together but leaving 2 ends free. You don’t want a big circle. Iron the 2 raw edges in at about 1/4 inch, and then the tape in half. The bias tape should be about 1/2 inch when you are done. You should have a long line of bias tape when you are done. 3. 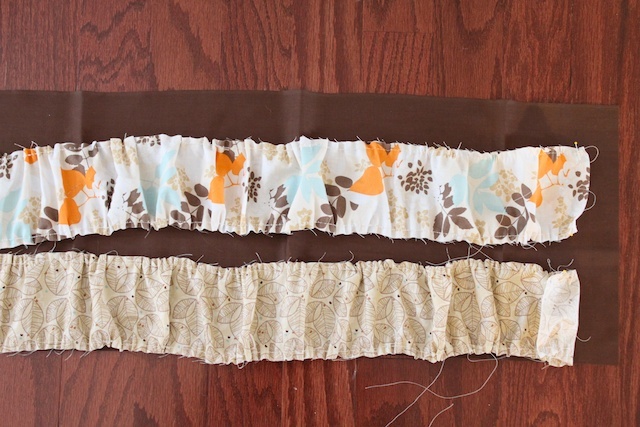 Sew together the 3 ruffle pieces of each fabric design and iron the seam flat. 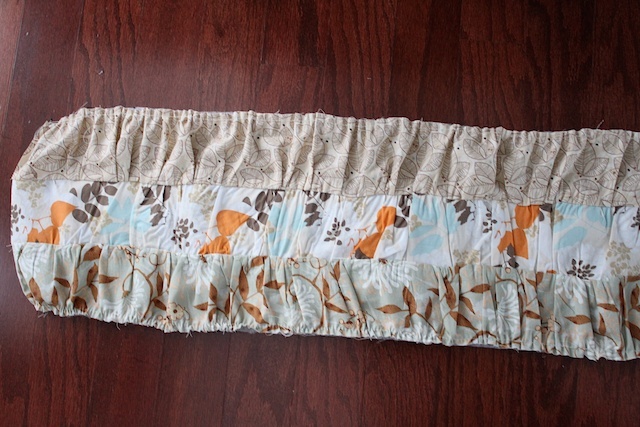 You now should have 3 long strips of ruffle fabric. 4. 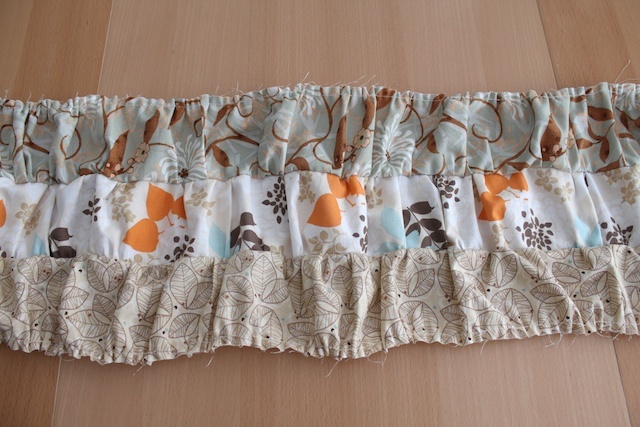 Do a basting stitch along the 2 long sides of each ruffle fabric. This is where I wished I had a gathering presser foot for my machine. It would have been faster. 5. 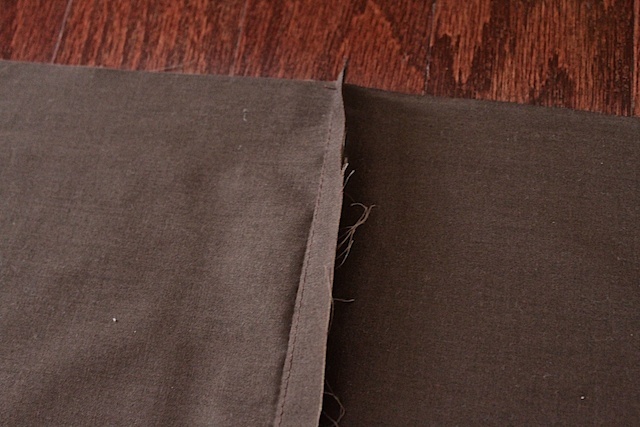 Take your 2 muslin backing pieces, sew the 2 pieces together at one end. Iron seam flat. Fold in half and cut at 41 inches (not at the fold, but at open end). When you open up the backing it should now measure 82 inches. 6. 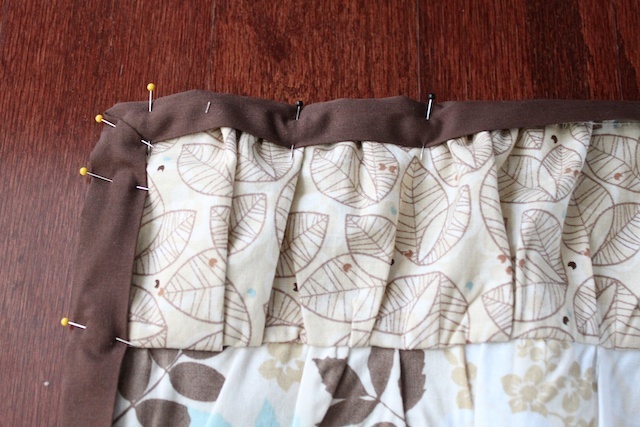 Gather each basting stitch with the fabric on top of the backing so you know how long the ruffle strips need to be. 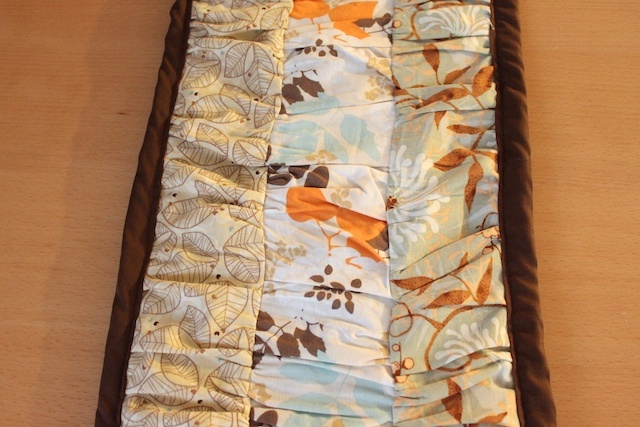 I had mine slightly (as in an inch) longer on each side just to make sure that when I sew, it doesn’t become too short. 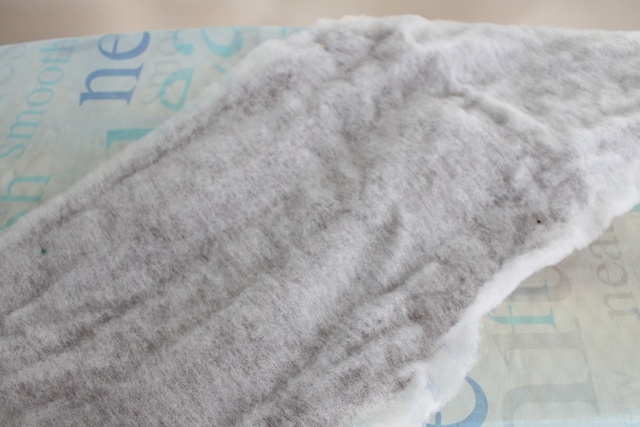 I rather have it too long and trim excess than too short and have to take the whole thing apart. 7. Flip the 2 gather ruffles right sides together and pin all long one long side of the ruffles. You will sew it together to keep the ruffles in place. I actually sewed along it twice to make it more stable. 8. 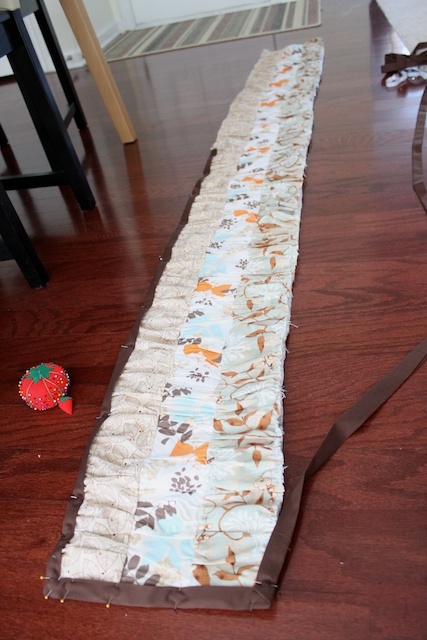 Open up the two ruffle pieces and repeat step 6-7 with the third ruffle strip. Once that is attached, I ironed the whole thing flat. 9. 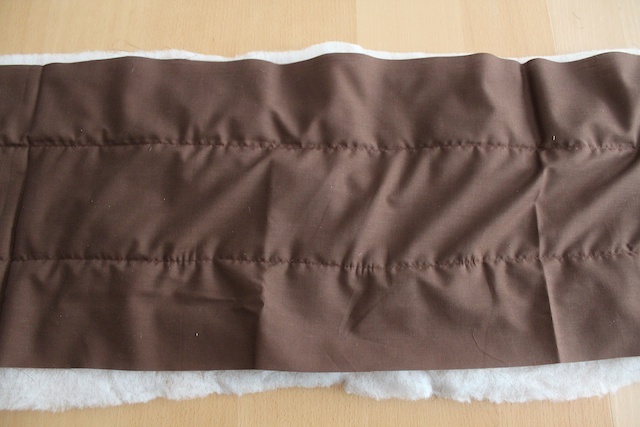 Place the batting flat on top of the muslin backing (with the backing wrong side up). Pin it in place. 10. 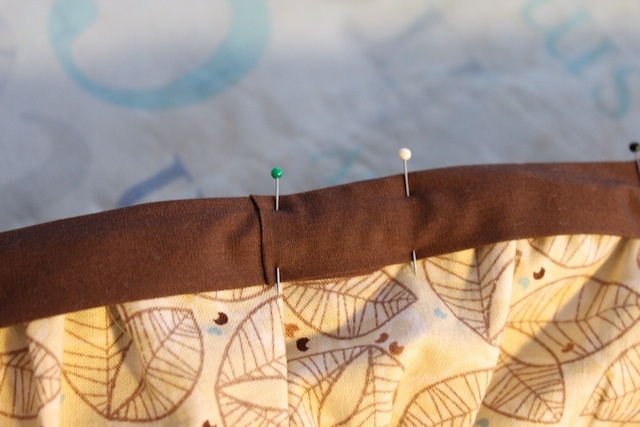 Sew the batting onto the backing by doing 2 straight lines 3 1/2 inches from each edge. 11. Once the batting is in place, trim off the excess batting all the way around so the edge of the batting matches the edge of the backing. 12. With the batting facing up, place the ruffle piece on top. The long edges should match up perfectly. The short edges will need to be trimmed to match because we made it a little longer in step 6. 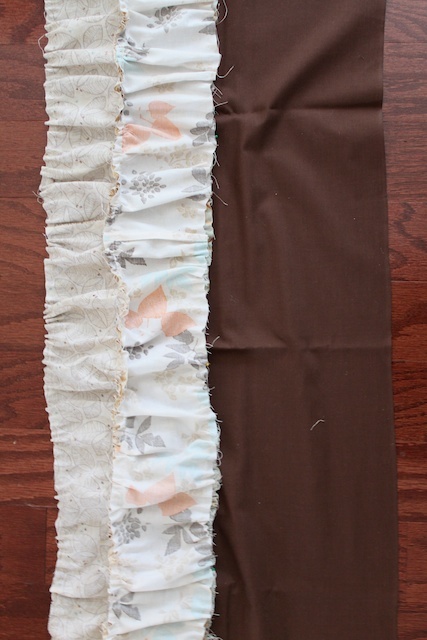 You should have 3 layers with backing on the bottom, batting in the middle and ruffle piece (right side up) on top. 13. 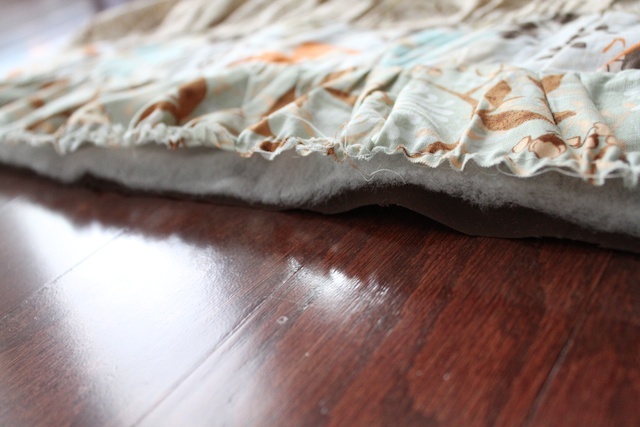 Get the bias tape and using the open end of the tape to cover the layers and raw edges of the table runner. Do it all the way around the table runner. Pin the 4 corners at a 90 degree fold. 14. When you have gone all the way around with the bias tape, trim off excess but leave about 1 inch from where the two ends meet. 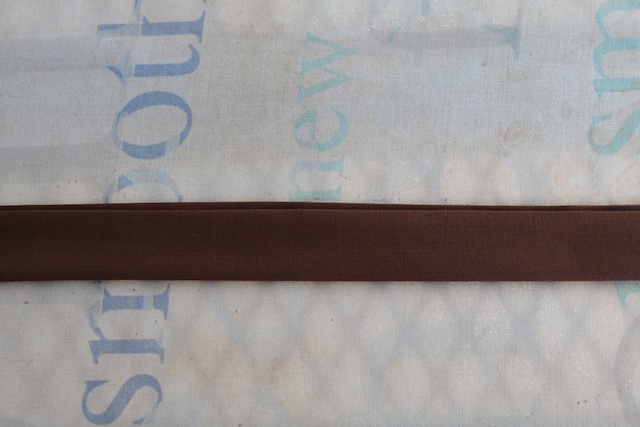 Do a little over lap of the 2 ends and iron in the raw edge of the top end of the tape. This gives it a clean finish. 15. 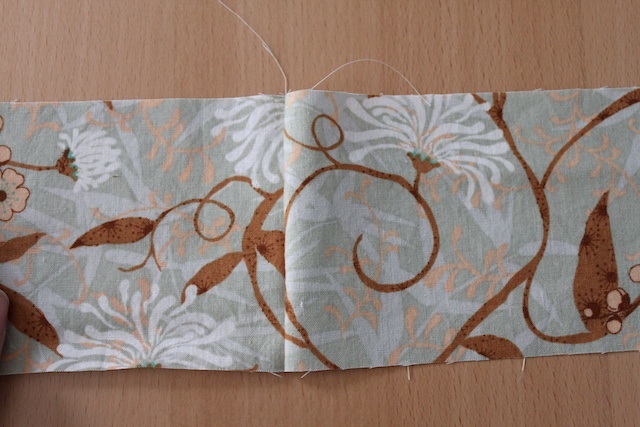 Sew the bias tape in place at about 1/8 inch from the inside edge of the tape. Go all the way round. 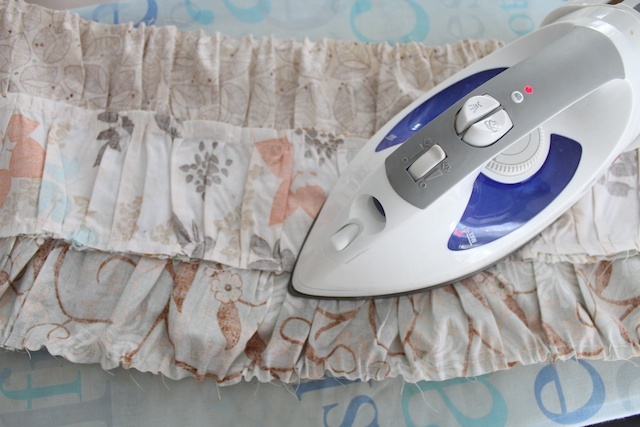 Once you’re done, iron the corners to give it a finished look. And done! » Tell me… Do you like your table runner to run to the edge of the table or off the table? 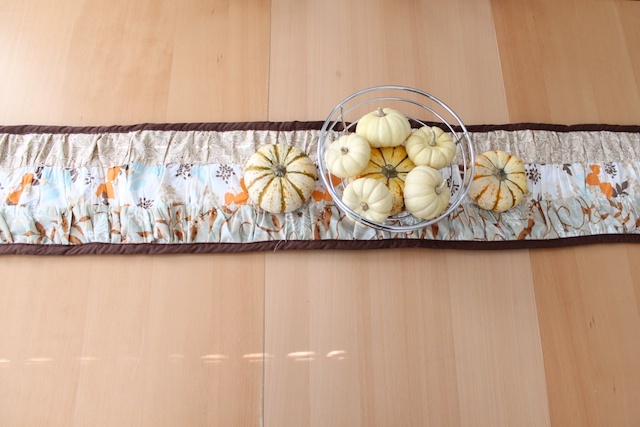 What kind of decorations do you like to put on top of the table runner? I love this project. I have too many other projects to sew it right now but I’m going to have to save this one for later. It would make a great gift too. That is a fabulous table runner. You did a great job. It is BEAUTIFUL! I love the ruffles!! 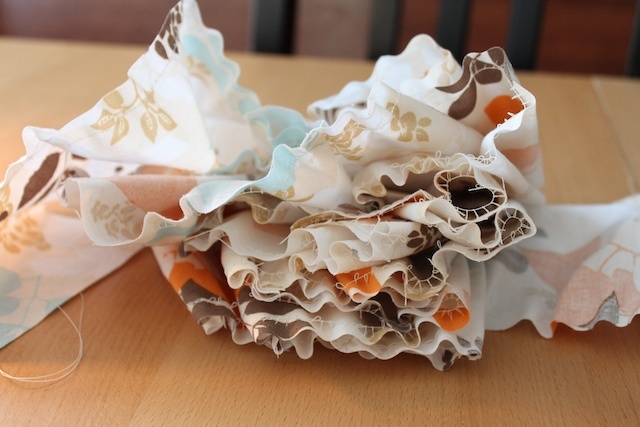 I think this is a great project — I am loving that ruffle look. I feel the same way about Thanksgiving decorations, so this year I made a felt leave garland tutorial for my blog :: http://maureencracknellhandmade.blogspot.com/2010/11/felt-leaf-garland-picture-tutorial.html Hope you stop by and have a look! It’s gorgeous! Thanks so much, I’ll be linking. thanks for the feature anne! you’re the best. Holy Cow!!! This is gorgeous. I love the modern look, and my sewing is definitely imperfect, so the ruffles are a great idea. I’m going to give this a whirl, and if I get it done, I’ll put the pics on flikr. Thanks for the tutorial! I linked up to your tutorial as part of a post on my blog. Great directions! Can you tell me the name of the material you used. Really nice! Such a cute table runner. 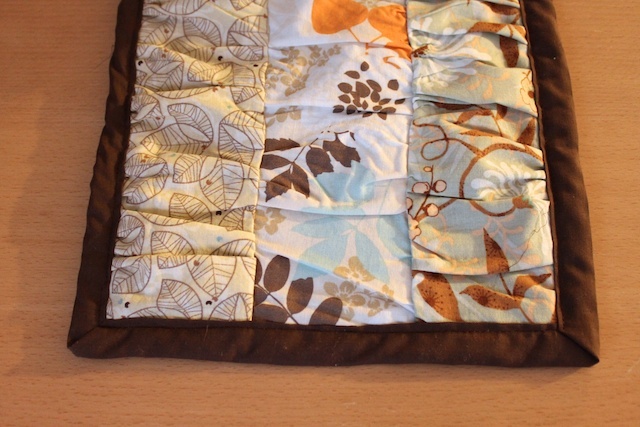 I found this when I searched table runner…glad I came across it. It’s a switch from all the ones I’ve seen so far! While I do appreciate the beauty of this project, I would like to make it without the ruffles! Love this, can’t wait to make my own!!!! I don’t usually use a table runner, but I think I would like it to go off the edge. Interesting design. Love to ruffle anything and I think this would be fun to make.. Thanks for the instructions.. Very pretty table runner. You did a great job. Great runner, love the idea of the ruffles! Love the table runner and the ruffles add so much. Thanks for the tutorial. What a great idea!! Will make it for my daughter! !